Join in this tour and discover the latent beauty of Hanoi. Pay a visit to several popular destinations, you will not only be able to view the stunning scenery but also contemplate the dynamic life and residents in this crowded city. Take the opportunity to gain background knowledge about Vietnamese history as well as its particular culture. At about 8:00, you will be picked up at your hotel, and then our city tour will start by visiting the Ho Chi Minh Complex and Ho Chi Minh's Mausoleum (closed on Monday and Friday). This is the final resting place of the beloved national hero. We also drop by the Presidential Palace, House on Stilts. Come and see the One Pillar Pagoda which is said to represent a lotus flower growing up out of the water has become an important symbol of Hanoi. After that, you'll move towards West Lake to discover the Tran Quoc Pagoda - the oldest one among others in Hanoi with intricate architecture and a nice tranquil backdrop. Then pay a visit to Vietnam's first university - the Temple of Literature. At noon we will travel to the Old Quarter to enjoy lunch in a restaurant with various Vietnamese traditional cuisines. In the afternoon, we will tour the Museum of Ethnology (closed on Monday). It is a public museum exhibiting the ethnic minorities of Vietnam including sophisticated and colorful hill-tribe costumes, weaving designs, musical instruments, work tools and other functional objects. Our tour will end around at 16:30. Optional: Water Puppet Show, Electric Car or Cyclo around Hanoi's Old Quarter. Tour price is indicative only, please inquiry for a best quotation & best offers from us. We are always here to help you. Don't miss out! We will send you the best offers quickly! 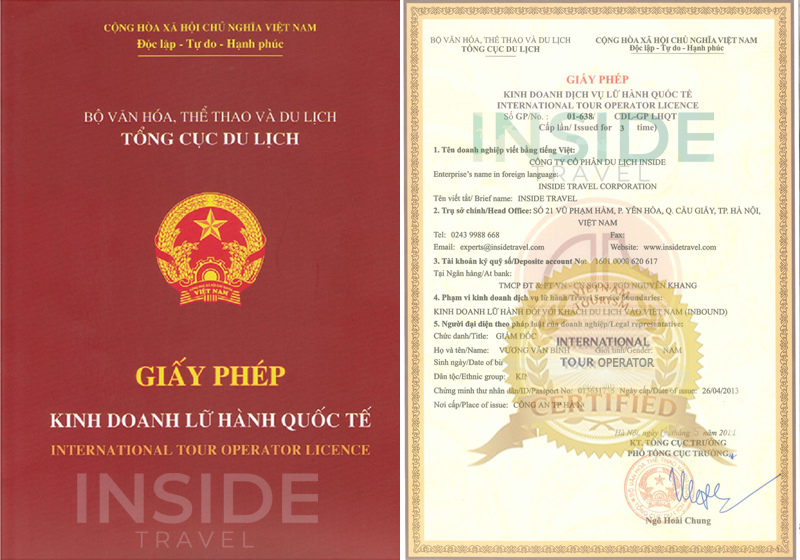 We are Inside Vietnam Travel Experts. We know our land Best. Let us help you! We are always here to help you. Please kindly tell us anything about your trip: How many people, Style, Destinations, Duration, Departure date... We will send you the best offers quickly! INSIDE VIETNAM TRAVEL - The Real Local Experiences! © 2010 - 2018 Inside Vietnam Travel all rights reserved. Proudly a part of INSIDE TRAVEL Corporation. Official Member : ASTA#900260032 - American Society of Travel Agents.